The Interlogix Simon XTi-5 is a cost-effective security system that offers up to 40 zones of burglary and fire protection, and which complies with SIA False Alarm Standards. The 80-632-3N-XTI5 wireless control panel features a 5-inch color LCD graphical interface with actionable status icons. The next generation of Simon XTi builds on the reliability of the original by adding a larger display and updated housing. 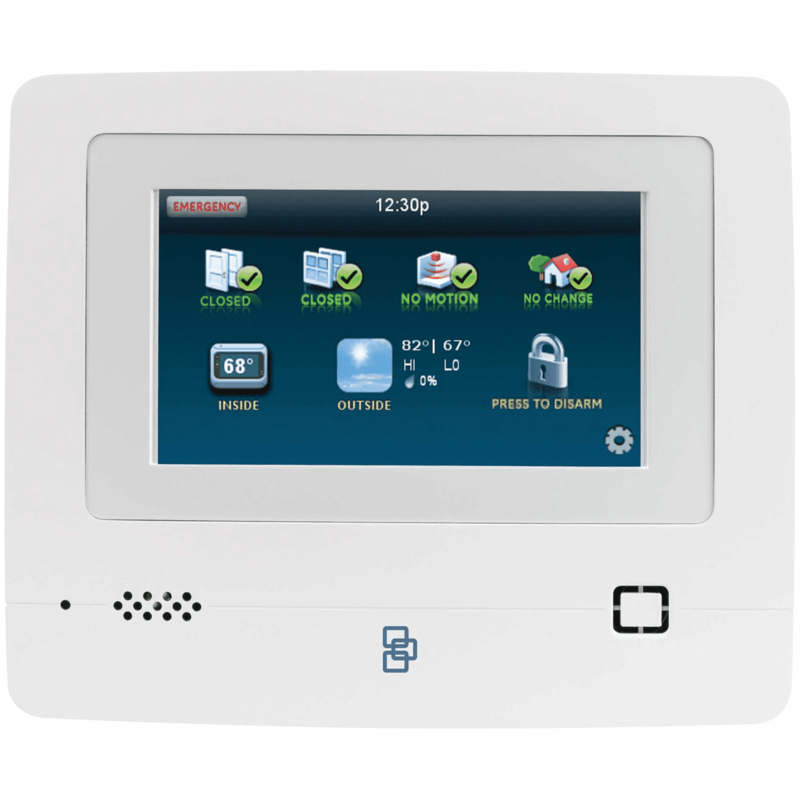 This self-contained security system provides color LCD touch screen convenience, at-a-glance system status, and easy to use iconbased system operation all at a cost conscious price point. The Simon XTi-5 is ideally suited for monitoring the security and safety of houses, condominiums and apartments. The ability to add on Z-Wave® lights, thermostats and door locks, in addition to the Interlogix® Image Sensor for viewing recorded snap shots and real-time look-ins, the 80-632-3N-XTI5 makes a perfect solution for whole home security and comfort management. All these functions can also be controlled remotely using Web portal and mobile applications powered by Alarm.com®. Any web enabled device (laptop, smartphone or tablet) provides access to Simon XTi-5's functionality and even includes lifestyle-enhancing information such as the current outdoor temperature and a four-day weather forecast. User friendly: simple, icon-driven, touch screen user interface - No buttons! With the optional cellular LTE reporting and Alarm.com features, Simon XTi-5 features remote monitoring and control of your security system for convenient and effective home protection.